I purchased 20 RCS online from a reputable seller recently and they've been slowing dying...not sure why. I have them in a Marineland 5 gallon that I've put filter sponge in the back to block the inlet from sucking up shrimp. Afterwards I've lost about 1 RCS every week. Somewhere in here did a couple micro water changes with my tap to increase my GH because apparently my RCS came from water with GH 8. No pregnancies...just deaths...I'm down to about 10 now. Please need some help! I've been feeding them peas, shrimp king complete and hikari crab cuisine. Usually only feed 1-2 times a week. If it might be molting issues, what signs can I look for to confirm? You'd be looking for failed molts, or a big ring right in the center of their bodies where the head and abdomen separate like the below pic. Were these homebred shrimp or imported shrimp? 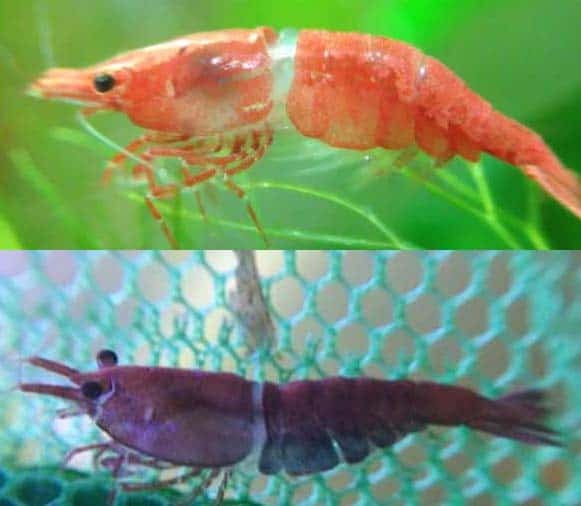 Imported shrimp (especially Neo's) typically have more issues because they are stressed and unhealthy due to their long journey. In the meantime I’ll do another micro water change with my tap which has an absurdly high GH of 10.